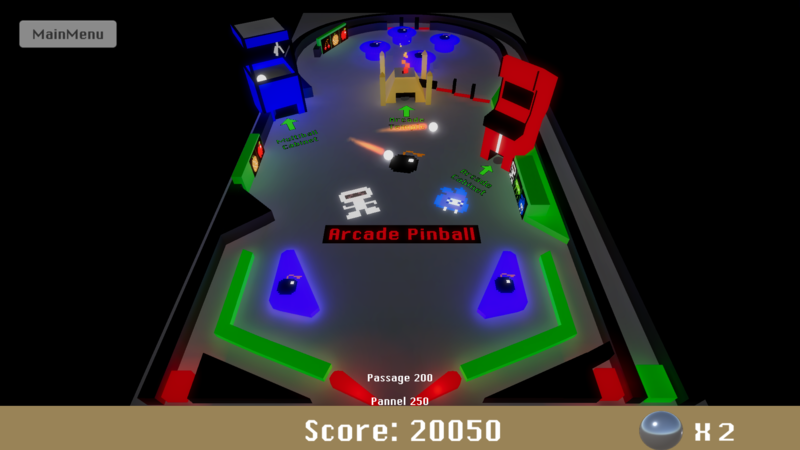 Do you like a pinball games, but do you like a pinball in arcade style. well, this is the game for you. Arcade is my inspiration because it is small and easy to understand also All games stared small before they become big. Also a good friend of my got a small Arcade hall, and have seen a lot of arcade cabinets. also, he fixed them to give them a second life as well. this is the reason that inspires me. Music by Kevin MacLeod was a great choice (we did this choice as well). I loved the game overall and the only thing i could see making this experience twice the fun is some flashy colors (like Dashing Ashes pointed out) XD. Otherwise, I read the comments and many of my feelings were already adressed, a little bit of extra time and I'm sure this would be golden. Amazing game, bro!! The game works incredibly well for having been made in a weekend. 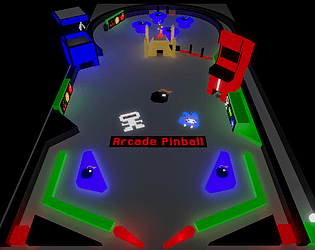 In terms of the actual layout of the pinball table itself though, there are definitely some problems. Things are placed just right so that the ball ends up right between the paddles way too often. For example, if you charge the launcher all the way up, it'll bounce around for a while and then just fall straight down the middle. If you bounce the ball ever so slightly off the top of the left wall, it goes straight down the middle. And the red/green gate things that I guess you're supposed to toggle 3 of to get a bonus or something, they never seem to really stick. No matter how many times I tried, I would toggle one to green, then it would drop right back down and toggle it to red. They should just stay on green I think. Also, the paddles protrude from the rail just a little too much at the fat end. Either that, or perhaps they are just visually misleading. I had a ball hit that round end hard, and I assumed it would bounce over into the rail, but instead, it just plopped right down into the middle for some odd reason. Basically, the core functionality of the game works incredibly well for a game jam submission, but the actual balance of the pinball table itself could use some adjustment. Hey Slug Overdose thanks for your feedback. I am currently working on some adjustment for the game make it more balance. some of the bug you reported are in the work to be fixed. also i want to make the board more balanced for more players. I also going to change the flippers model that ball will translate over and not being stuck between them. as well the physics gets a clean up. Not bad for just a few days of work, I'd keep working on this to see where you can take the overall idea. 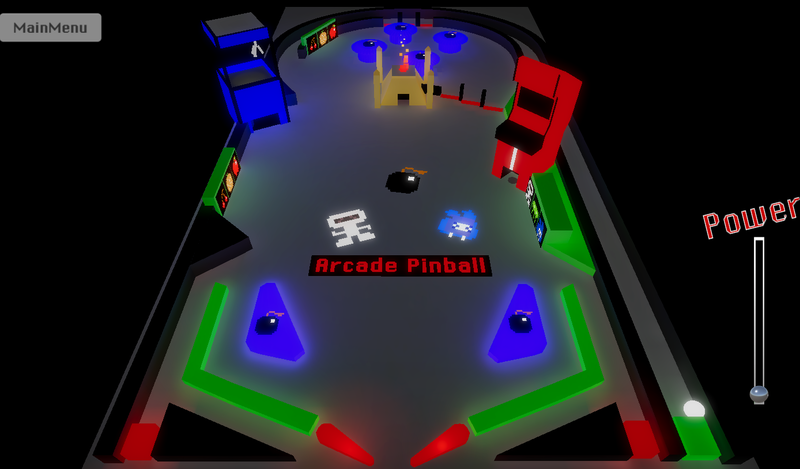 Not a lot of pinball games available out there. Have fun. thank you. I am currently working on some fixes. and I want to up the game play a bit for more enjoyment. Perhaps looking at how the ball bounces off the flippers. There were times it seems I would just catch the ball and the velocity suggested it should bounce away instead. WOW! Super fun!!! Can play this all day long.